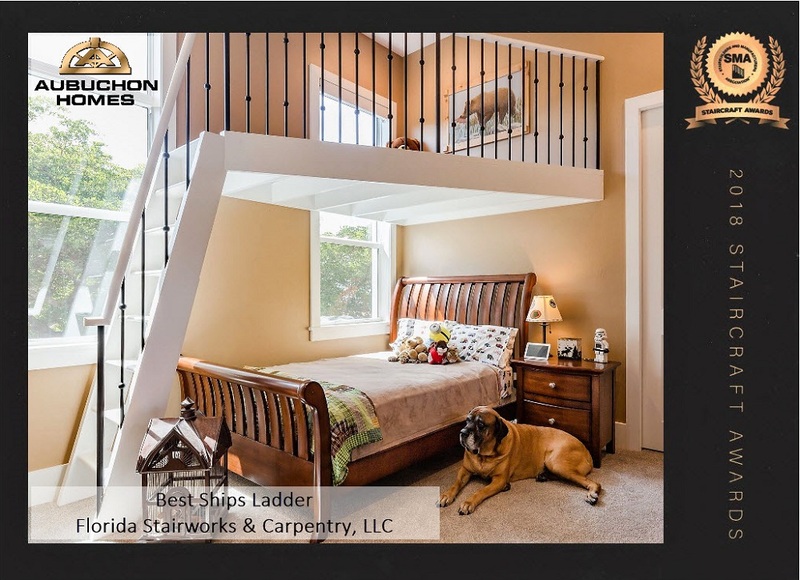 FORT MYERS, FL, July 2018 – Florida Stairworks & Carpentry, LLC (FSW) received two awards at the 2018 annual Stairbuilders and Manufacturers Association Staircraft Awards Ceremony. Their dedicated efforts to build architectural master pieces and attention to detail, won them the Best Straight Stair-Traditional and Best Ships Ladder. 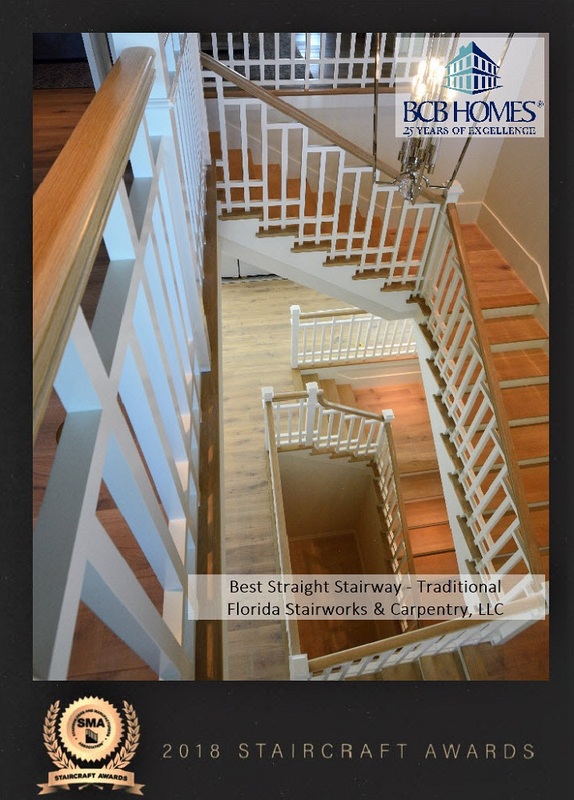 These award winning staircases are featured by two of the premier area builders, Aubuchon Homes in Lee County and BCB Homes in Collier County. The SMA Staircraft Awards recognizes the best staircase projects of the industry. So, it is truly an accomplishment to win these awards and shows their team’s dedication to producing an excellent product. Their designers, stair builders and installers take great pride in their work and craftsmanship and these awards are a culmination of their hard work. There is no higher honor in this industry. FSW specializes in custom built staircases that are architecturally unique. They will build a staircase that is customized to their customer’s decor and designed to be a reflection of their artistic vision. A truly custom built staircase has many advantages over stairways built using off the shelf plans. They can offer you creative and innovative design options, superior craftsmanship, quality materials and most importantly, they are made to order exactly the way you specify.